Originally there was a planet in our galaxy called Atlantis. The planet housed a multiple civilization of highly evolved beings. They were what we think of as spiritual guides or teachers. At one point hundreds of thousands of years ago, Atlantis had a collision with another planet that was much larger and was destroyed. The people who inhabited it were aware that this was going to happen so they evacuated the planet before the collision occurred. They searched the galaxy for a planet of similar vibrations and atmosphere. They came to Earth and settled here, where they lived on the surface of the planet. Many remained in ships above the planet. It has been resettled several times going back over 90,000 years ago. We have had many expressions of the Atlantean energy on the planet from more than one civilization. The original settlers lived in this continent which eventually sank into the seas, due to polar shifts and earth changes. Many Atlanteans went below the surface of the seas and settled in underwater caverns. 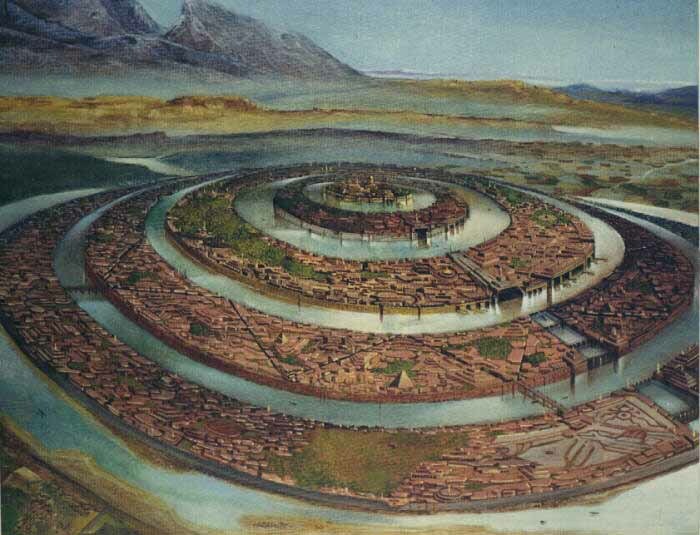 The tunnels of Atlantis and another civilization, Lemuria, still exist. Atlanteans had many subterranean tunnels which contained giant fire crystals, which was their main source of power. These were quartz crystals - 20 feet tall X 8 feet in diameter. They set up three crystals in a triangular pattern. They had giant copper rods that conducted the energies from crystals. This created a grid which acted as an apport - bringing things from higher energy into pure material form. This was accomplished through the magnetic configurations of the crystals. The population was approximately seven and a half million people. The souls knew why they were there. Working Class: Majority of the souls: Agriculture and scientific communities. Elders: The souls that had been the force that came from the planet of Atlantis. Did spiritual work. teachers. The levels kept to themselves in all aspects of life to keep the energies in balance. The cities were domed with force fields of energies, set into place containing the vibrations of the atmosphere for the souls to exist. Buildings were tall and large. People lived in communities dwellings in attached homes, as opposed to private home. They were shaped in design based on the use of the building. They were based on geometric construction of the building. The tallest building was about 12-14 stories high. HEALING CENTERS WERE PYRAMIDS - triangular in shape. Most buildings were 2-3 stories high. Elders and Priests might live in single dwellings. There was a main healing temple that was circular with a 60 foot diameter. The domed ceiling contained dozens of crystals that were not only used for healing . The building was used to balance their frequencies. Sometimes the crystals were used to raise a person's frequency - just as we use them today. The temple of sound was used to aligned the body's energy centers (chakras). The pyramids in Atlantis were three sided. They were made of crystals. They were used as antennas to draw and amplify energies from the universe. There were about 100 of these edifices. They were set up in various triangulation patterns all over the planet. They set a global grid work of magnetic energy dividing the planet into different geographic magnetic centers -for population concentration - and to hold the planet in its orbital path. Most of these pyramids, physically do not exist any more. Those that do exist are buried in different areas. The centers where the pyramids exist energetically draw people to them for magnetic initiation - - - >a total alignment of etheric crystalline centers in the person's bodies. Mount Shasta and Sedona are such areas. In Atlantis, pregnant women were placed in a chamber for 24 hours where a crystal sent information of a higher frequency to the fetus. Children remained with their parents for the first two years of their lives. They were then taken to a central compound where they lived all together with group mothers who raised the children. All of the children got to play with all of the parents every day. There was no child abuse or feelings of lack of love. At adulthood children did not have guilt to care take parents. Psychologically parents and children were far more adjusted then they are today. There were schools where students learned on various levels. Crystals were used to program the minds of students with information. These were large crystals - at least 4 feet long - with a point at one end. When a person was old and the body wore out - they were lie down and go to sleep - never to wake again. That person's soul had peace in its relationship with God and understood that the soul would return. There was no fear of death. The physical body is nothing more than a manifesting consciousness tool of the soul. It is the vehicle through which the soul expresses. When the soul is finished what it is here to do - and the physical body can no longer serve a purpose for the soul - it is within our capacity to close our eyes and for the soul to leave. There is no reason to have prolonged illness and suffering. That is just part of the soul's fear of leaving. Biogenetic experiments created many mutant strains which eventually threw the balance off. Many of these beings are written about in mythology - mermaids, cyclops, gargoyles. Atlantis was destroyed because of a tremendous amount of negativity as well as polar shifts. Many of the priests who had moral integrity knew the end, transferred to Egypt and started the mystical Egyptian culture. Take the First Step to your Spiritual Transformation Now! Get the latest information on Spiritual- Reiki and Energy Healing and receive your FREE Spiritual Healing Session. Let your Inner Power guide You - Subscribe Now!